PR3 is a major antigen recognized by autoantibodies directed against cytoplasmic proteins of neutrophilic granulocytes and monocytes (called anti-neutrophil cytoplasmic autoantibodies (ANCA)). ANCA are able to activate primed neutrophils to produce oxygen radicals and release lytic enzymes, including PR3. 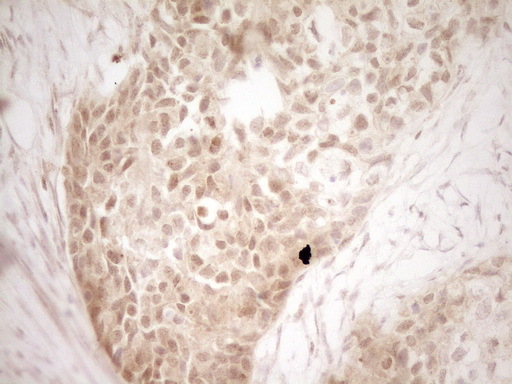 Proteinase 3 (PR3) was identified as the target antigen of ANCA in Wegener’s granulomatosis (WG). ANCA directed against PR3 (PR3-ANCA) can interfere with the binding of PR3 to its physiological inhibitor alpha1-antitrypsin (alpha1-AT) and with the proteolytic activity of PR3. At the site of inflammation, PR3 can cleave the PR3-ANCA complex between these inhibiting ANCA and PR3 itself, leaving active PR3. Autoantibodies to PR3 are potent activators of the 5-lipoxygenase pathway in primed human neutrophils. Extracellular free arachidonic acid, as present at an inflammatory focus, synergizes with such autoantibodies to evoke full-blown lipid mediator generation, granule secretion and respiratory burst. 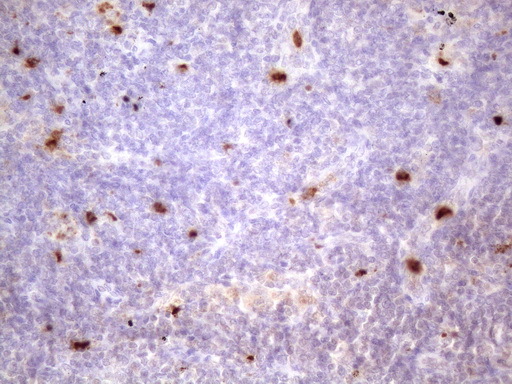 PRTN3 MaxPab polyclonal antibody. Western Blot analysis of PRTN3 expression in human spleen. 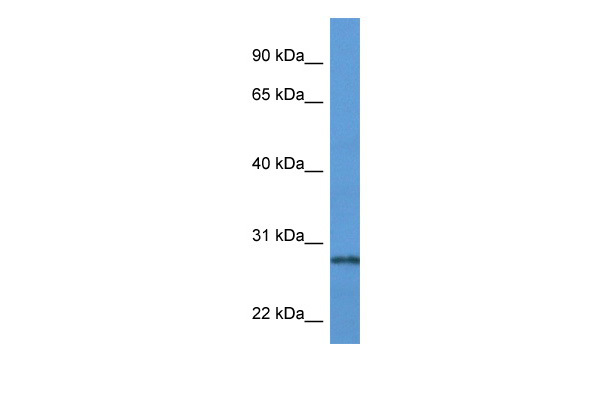 Western Blot analysis of PRTN3 expression in transfected 293T cell line (H00005657-T01) by PRTN3 MaxPab polyclonal antibody.Lane 1: PRTN3 transfected lysate(28.16 KDa).Lane 2: Non-transfected lysate. 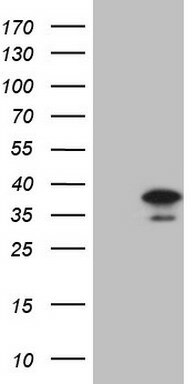 PRTN3 MaxPab rabbit polyclonal antibody. Western Blot analysis of PRTN3 expression in mouse brain. 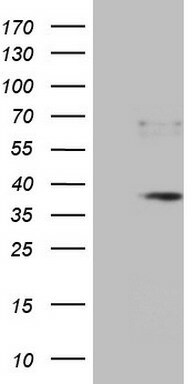 Western Blot analysis of PRTN3 expression in transfected 293T cell line (H00005657-T01) by PRTN3 MaxPab polyclonal antibody.Lane 1: PRTN3 transfected lysate(27.80 KDa).Lane 2: Non-transfected lysate. 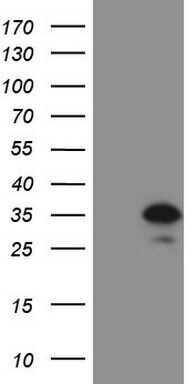 Western blot analysis using PRTN3 mouse mAb against PRTN3 (aa28-256)-hIgGFc transfected HEK293 cell lysate (1). HEK293T cells were transfected with the pCMV6-ENTRY control (Left lane) or pCMV6-ENTRY PRTN3 (RC220949, Right lane) cDNA for 48 hrs and lysed. Equivalent amounts of cell lysates (5 ug per lane) were separated by SDS-PAGE and immunoblotted with anti-PRTN3. 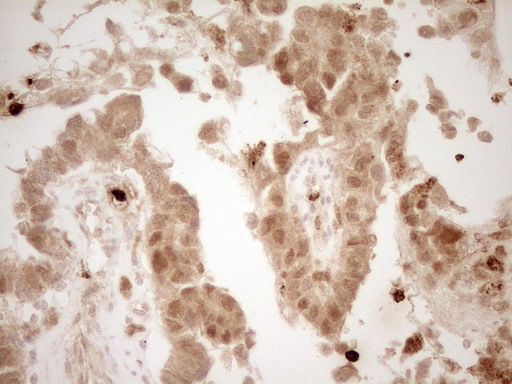 TA326729 (2µg/ml) staining of Human Spleen lysate (35µg protein in RIPA buffer). Primary incubation was 1 hour. Detected by chemiluminescence.